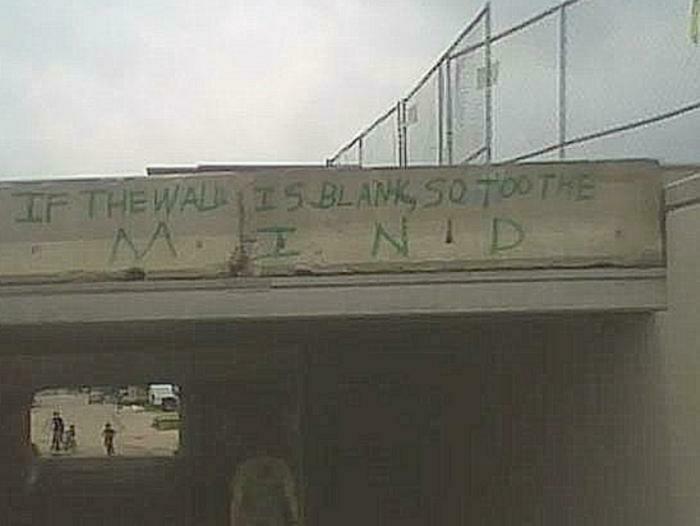 It reads "If the wall is blank, so too the mind." Although not exceptionally more illogical than much graffitti ["War is not the Answer" - answer to what? 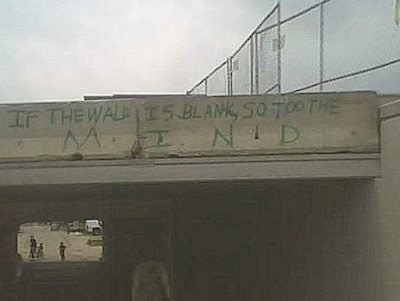 ], this one struck me because of the blanket insult toward those of us not inclined to indulge in vandalism. Everytime I see a "War is not the answer" bumper sticker, I want to slap one next to it that says, "It depends on the question."